Shortly after moving to our new home this past winter, the kids and I noticed a squirrel that was different than the others because he had no tail! Or rather, just a stub of a tail left from some trauma he must have suffered. We have spent quite a lot of time speculating about what could have happened to him. Was he caught by a cat only to escape with his life? Did he get run over by a car? 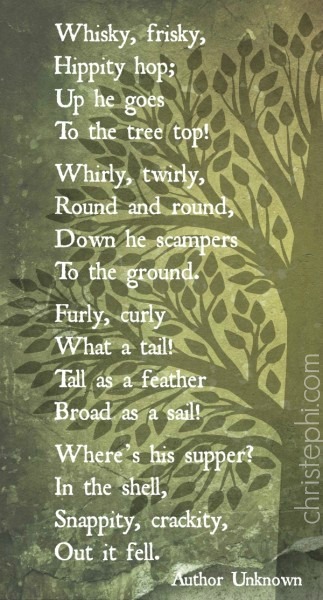 Perhaps he was caught in the crook of a tree? (This last theory proved more plausible after we found a different squirrel in January caught by its tail, dead, and frozen solid!) It wasn’t long before this unique squirrel was dubbed Dale No-Tail. During our bemused observations, we discovered which hole in which tree is Dale’s home and before long we noticed a female squirrel shares that habitation. When she came to the porch rail, we also observed that she is clearly pregnant (and has nursed kits before; nature reveals these things!). She, of course, has been named Mrs. Dale and we are eagerly awaiting the young squirrel kits that will be running around the yard in early summer. All these antics have inspired quite a bit of lore in our home. Can’t find your shoes? Maybe Dale No-Tail took them! Only found half of a hidden Easter egg? Dale must have absconded with the treats for his kids for Easter. 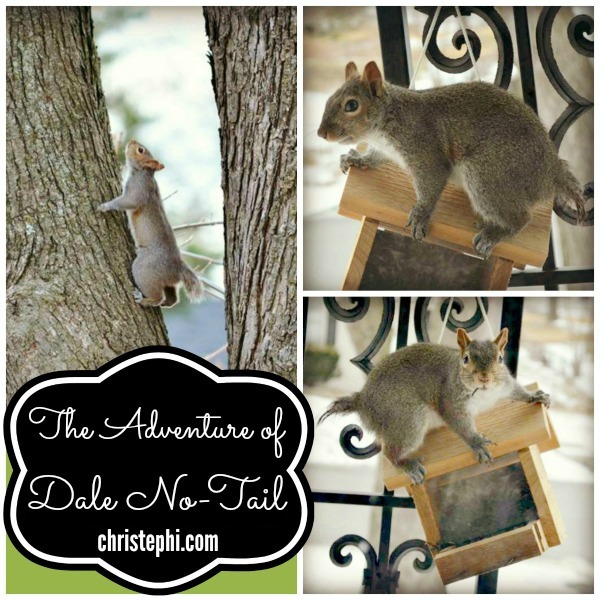 It has also led to a lot of storytelling: Dale No-Tail Saves the Day!, Dale No-Tail and the Missing Acorn, A New Home for Dale. The majority of which are done orally as a group effort. 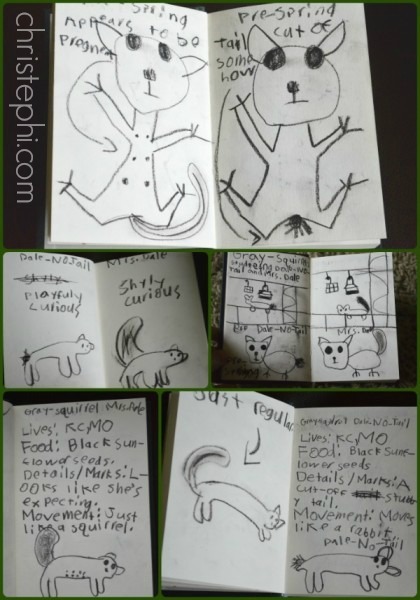 We’ve learned a lot about squirrel behavior with some books from the library to flesh out the facts. One day Mrs. Dale was spied gathering bunches of dry leaves in her mouth and running up the tree to her hole with them, which inspired a whole spate of investigation about the kinds of homes squirrels live in. This game of crossing back and forth between fantasy and fact is not only really fun, but it seems to help the kids learn to view things from a different perspective. Of course they know that Dale No-Tail is just a regular squirrel going around doing regular squirrely things, but in their imaginations he is a hero of epic proportions with stories of great valor to tell the other squirrels, and is the king of all the neighborhood squirrels. But in their telling and retelling of stories, they are learning a range of skills as storytellers. (Read about the powerful benefits of storytelling). This article was originally published in May 2015 by Home & School Mosaics.